My beloved Buckeyes beat the Alabama Crimson Tide in the 2015 Sugar Bowl!!! As a result, I have created for you 5 free fonts! I often get comments about how nice my handwriting is, so I have two that reflect my regular handwriting style, and then 3 more that are more "fun." I hope you enjoy them! 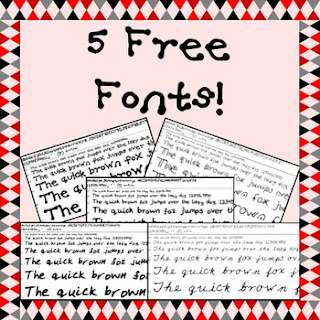 These are "True Font" types.